I was in a museum visiting a Rembrandt portrait. A man stood next to me, looked at the painting, and pointed out: Theres green in that beard. If I had been trying to see something particular in the painting, I would probably have been thinking along the lines of its character, its atmosphere, or even its meaning. But couldnt my first question have been: What is this that I am looking at? The hint of green in the beard was an undeniable part of it  no more and no less. In this video I want to illustrate what this first level of perception  of noting what it is that one is looking at  is like for me in music. As I can feel this, so perhaps my fellow visitor could not imagine looking at the painting without taking note of the green in the beard. My 19 November recital in Lucerne features French keyboard music from Couperin to Vierne. I created the programme for Lucerne Festivals homage to Debussy, placing him in context of the tradition, as an outsider. I have had the pleasure for several years of playing Robert Browns instruments. Before our most recent concert this Easter in Salzburg, I visited him in his workshop. In this video we explore various instruments, their inner workings, and their relationship to music. Un côté méconnu de lœuvre pianistique de Charles-Valentin Alkan, dont je jouerai lOuverture Op. 39 #11 dans mon récital à Laon le 16 septembre. Was für eine Mathematik ist die Musik? Auszüge meiner Festrede im Rahmen des Mozartfests Würzburg 2016, bei mir in der Église Sainte-Thérèse in Hirson wiedergegeben. On Liszt as a compositional interpreter of plainchant. In connection with Kit Armstrongs recording of Liszt: Symphonic Scenes, featuring examples from The Nocturnal Procession among other works. Liszts use of classic forms of counterpoint is often paid little attention to. Kit Armstrong explores some of its aspects and particularly remarkable examples. Nouneh Sarkissian in partnership with Steinway & Sons presents a piano recital Poetry in Music by Kit Armstrong on 23 October 2015. From Eglise Sainte-Thérèse in Hirson: some thoughts about a recital programme featuring an unusual convergent evolution in the works of Mozart and Liszt, to be given at the Mozartfest in Würzburg on 27 May 2015 (link to YouTube). I am particularly excited about my 12 May recital at the Klavier-Festival Ruhr because it gives me the chance to share with you music and ideas about that music that Ive been thinking about for the last few years. It is my opportunity to explore some connections between the Goldberg Variations and the earlier tradition of variations, in particular, the music of Byrd, Sweelinck and Bull. Kit Armstrong has transformed the Église Sainte-Thérèse in Hirson, France, into a centre for culture. Abschied for 2 pianos, commissioned by the Volkswagen Movimentos Festwochen, was premiered on 8 April by Annika Treutler and Kit Armstrong in Wolfsburg. 28 April - 2 May 2019: a series of concerts at the Schubertiade will include the premiere of a new set of songs upon texts by Ulla Hahn. Kit Armstrongs residency this season with Musikkollegium Winterthur continues on 23 June with a performance of Beethoven Concerto #1. Kit Armstrong and Renaud Capuçon gave cycles of Mozarts violin sonatas at Salzburg Mozartwoche and in Pierre-Boulez-Saal, Berlin. Their Beethoven sonata cycle premiered in Laon & Soissons in fall 2018. The Arte TV broadcast Metropolis dedicated a portrait to Kit Armstrong. First shown on 24 March, it features scenes from Hamburg Elbphilharmonie and Église Sainte-Thérèse. Kit Armstrong played an organ recital in Berlin Philharmonie on 22 April 2018. The programme included Elgars sonata and Liszts Fantasie & Fugue Ad nos, ad salutarem undam. Programme: Byrd, Bach, Nancarrow, Ligeti. 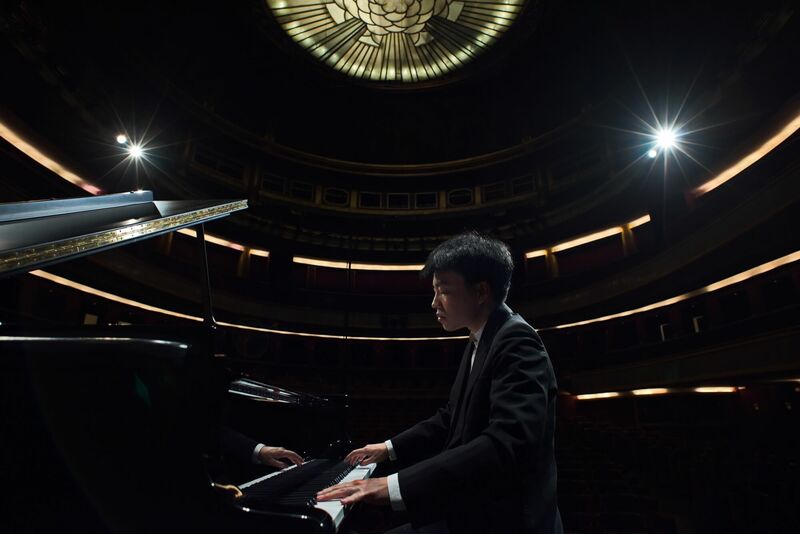 Kit Armstrongs Études de dessin featured in the livestreamed prizewinners concert of the piano competition Felix Mendelssohn Bartholdy Hochschulwettbewerb. Basilica of Constantine, Trier: Kit Armstrong gave his organ recital debut with works from the 16th to 20th centuries. Alexej Gerassimez premiered Kit Armstrongs concerto for percussion and orchestra with Berlin Konzerthaus Orchestra. 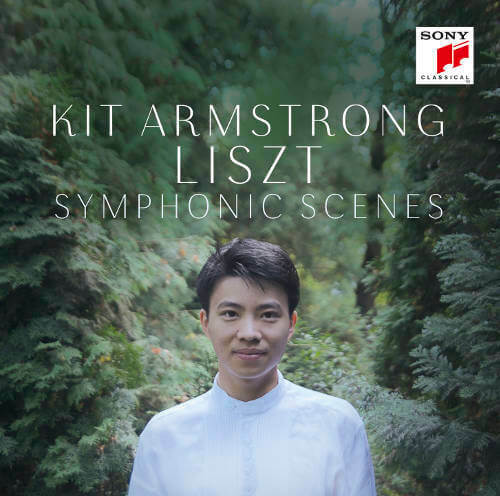 Sony released Kit Armstrongs album Liszt: Symphonic Scenes (November 2015).